You are currently browsing all posts tagged with 'Fekkai'. I have had long hair my entire life. At its longest, it was about two inches above my waist. People have told me it’s my mane, my identity, and how they know it’s me in a crowd. In elementary school, my hair would hang down over the back of my chair, and the boy behind me would push his desk up against my hair, to trap me. The cliché everyone spouted—especially my parents—was that he was doing that because he liked me. I still don’t get that. So, I’ve always tried to take the best care possible of my hair. Here are a bunch of tips I’ve learned over the years to ensure healthy tresses. Avoid washing your hair every day. This strips your locks of their natural oils. Unless you suffer from very oily hair, most dermatologists agree that it’s best to shampoo every other day. For particularly dry, frizzy, or treated hair, you can wash it every third day. Raymond has this to say about brushing wet hair: Avoid using natural bristle brushes on wet hair. 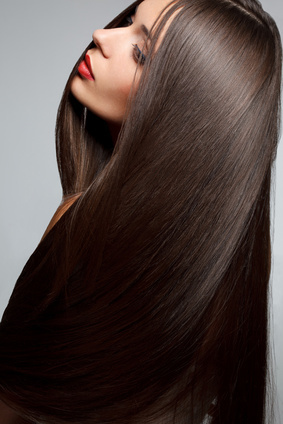 Water softens hair and natural bristles are sharp enough to slice hair lengthwise, increasing breakage and split ends. Instead, use a plastic paddle brush with ball-tipped pins. Unless your hair is just too unmanageable or freaky looking without blow-drying, consider air-drying your hair. It will boast a much smoother finish when allowed to dry naturally. The next best option is to air dry it for five to fifteen minutes before grabbing the blow dryer. This cuts down tremendously on drying time, which is better for your hair. If you are a blow dryer addict (like I am), hold the dryer at least two inches from your hair. Again, this will lessen the damage. Never place the blow dryer directly on your hair. You didn’t actually think I was going to blog about hair care without praising the virtues of my favorite hair treatments, did you? My favorite overnight treatments for my hair are Alterna’s Caviar Overnight Hair Rescue ($38.00 at Alterna Hair Care), and Fekkai’s Protein Rx Anti-breakage Treatment Mask ($30 at Fekkai). Apply Alterna’s hair treatment to dry hair, and leave it on overnight. It will not leave any residue on your pillow, and it washes out in the morning, revealing soft hair. It is free of parabens, sulfates, and phthalates. Fekkai’s creamy white concoction is drenched in soy and milk proteins and leaves my hair incredibly silky. Use this on damp hair for 10 to 15 minutes. Ojon also makes a hair mask called Damage Reverse Restorative Hair Treatment. This can be used on dry hair for 20 minutes, or overnight for deeper conditioning. It boasts a strong nutty scent and only liquefies when rubbed between the hands. It’s $33 at Ojon. I place a towel on my pillow when I use this one, because it will rub off on linens. Trying to return damaged hair to health? Raymond suggests getting a polymeric treatment from your hairdresser. This refined process strengthens hair up to six weeks per treatment. Everyone’s hair is different, so you can adjust these steps for your particular needs. Also, try mixing in some of these hair treatments with your regular shampoo or conditioner. I find that they add a little shine boost when used as a quick add-on treatment.